The Girl I Left Behind Me by Franklin Fyles and David Belasco. 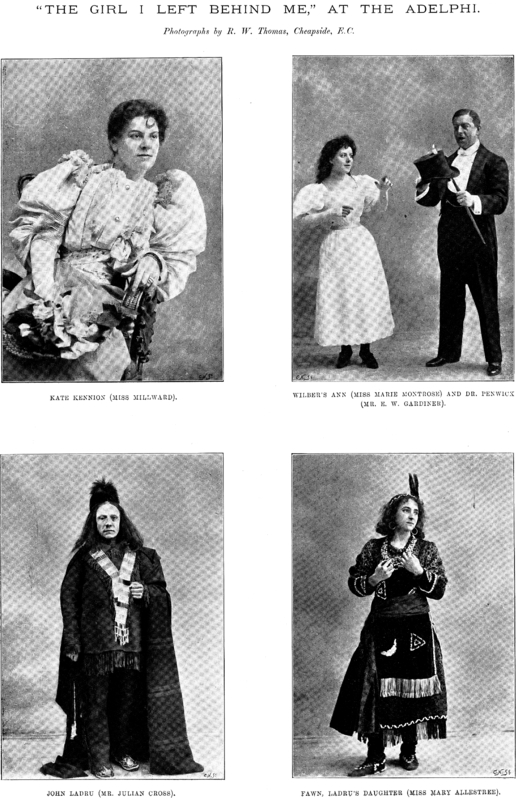 Photos of the Adelphi actors in costume. 1. Jessie Millward as Kate Kennion 2. Marie Montrose as Wilbur's Ann and E. W. Gardiner as Dr Penwick 3. Julian Cross as John Ladru and 4. Mary Allestree as Fawn Ladru.